Tired of commercialisation and corruption of modern football, fans all over Europe are taking matters in their own hands. From Unionistas in Spain to AKS "Zły" in Poland, Europeans are proving that different football is possible. A brief look at the revolution. The Szmulki neighbourhood in Warsaw, situated on the right (and "worse") side of the Vistula river, has a bad reputation. It's a district where gentrification has only made it half way: artists have already settled in, but high-end boutiques and pricey restaurants can't quite stay rooted. 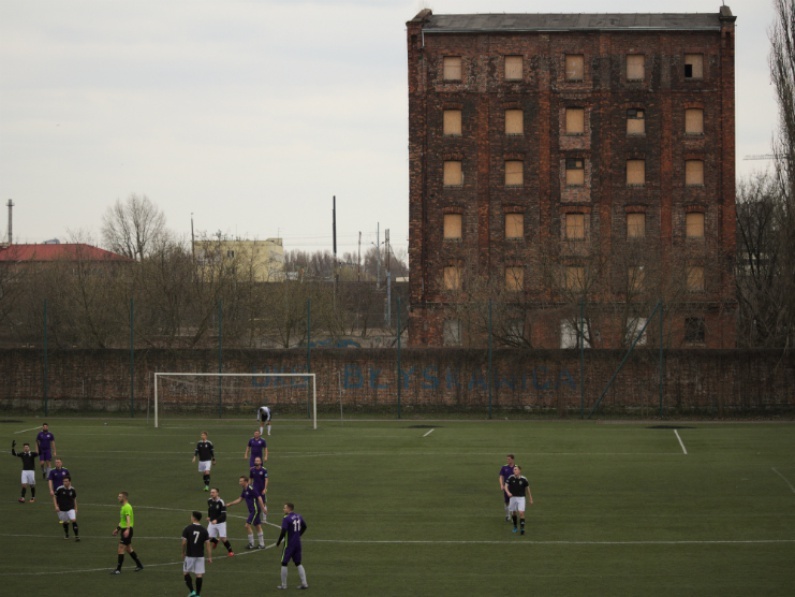 The stadium on Kawęczyńska Street, right next to the end-station of the tramline, is overshadowed by an abandoned building - the remains of a pre-war steam mill. There is no better place for the alternative sports club Zły [NB. Meaning "bad" in Polish]. The name, which references a classic Polish novel by Leopold Tyrmand about a mysterious vigilante fighting crime in Warsaw, is defiant. "We are the 'bad' ones in the sense that we don't fit [in], we do things differently," explain Janek Wąsiński, one of the most active members of the club. 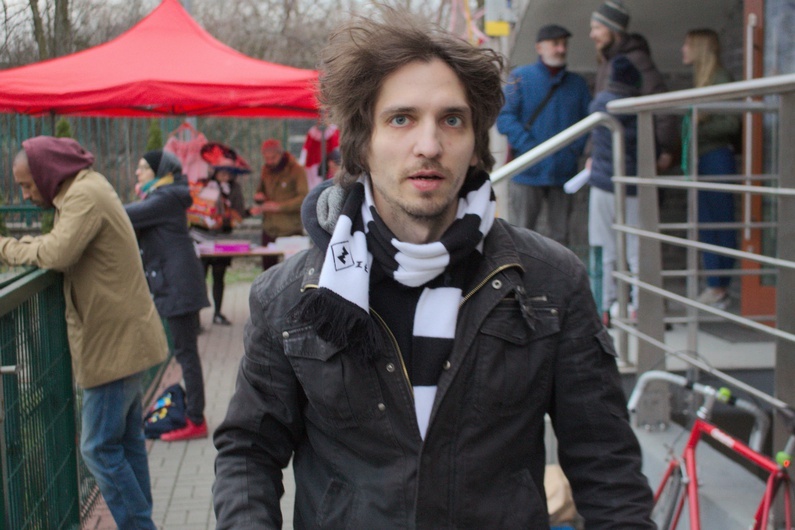 Indeed, AKS Zły could not be further from a stereotypical Polish football club. On the stands, there are no insults or flares. Instead, their extremely diverse fanbase, consisting of people of all ages, cheer energetically for a league that usually doesn't have many fans. "This kind of cheering is unheard of in the lower leagues. Sometimes even the families of players don't show up to see our opponents, but we get up to 200-300 people," says the club president Karolina Szumska. Both teams of Zły play at the lowest level; the men in the B-class (eighth tier), and the women in the fourth league (fifth tier). AKS Zły is an exceptional case in Poland, but this club is part of a larger phenomenon across Europe. Popular football clubs have a different approach to their fanbase: "There are many foreign owners who buy a club, use it as a toy, and don't care about the fans," explains Mario Gago, the co-founder of Wanderers, a digital magazine in spanish on popular football. Point in case: Malaysian businessman Vincent Tan changed the colour of Cardiff City's shirts in 2012. The bluebirds (nickname of the team) became the redbirds (they went back to dressing in blue in 2015). The origins of popular football clubs can vary. They could have formed after the disappearance of an historical club, through the rejection of the board of directors, or emerge as a new club from scratch. But all of them retain some common traits, especially when it comes to the organisation and philosophy of the clubs: "It is an inclusive model: the members vote on all the important decisions, the club cares for the football academy, training and educating the youth. They also care about the closest environment, carry out social work and flatly reject business football," explains Gago. It all started in England in 2005. Supporter of Manchester United were sick of the Glazer family, the American owners of the club, and decided to found FC United of Manchester. That phenomenon continued and began to cross borders. In Italy, Venezia FC was born after the disappearance of Unione Venezia (currently it is not a popular club). In France, there was Ménilmontant FC 1871 in 2014. And in Spain, we find up to 15 popular clubs - most of them results of a delicate economic situation: "Almost all are a result of bankruptcies caused by the crisis," says Gago. 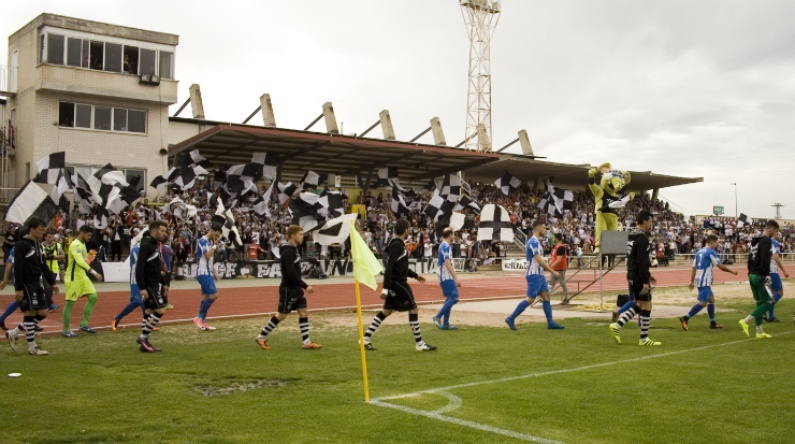 As for Unionistas, Salamanca's official club, they were born after the disappearance of the historic Union Deportiva Salamanca. "Our origin comes after living through one of the worst experiences that could happen to a supporter: the disappearance of their football team," says the board member Nacho Sánchez. In the beginning, they wanted to look for alternatives to save their club, but the club finally disappeared due to economic problems. They were in deep, with a debt of about 23 million Euros. In response, they decided to create a tribute club. Since then, the number of fans has grown larger than any other club that starts off in the lowest categories. "We think that a team must succeed in the field, not in the dispatches. We started in Provincial and found that the stadium was crowded. There were almost 2,000 supporters," admits Sánchez. For the first three years, Unionistas was constantly growing. After two consecutive promotions, they qualified for the Playoffs, but they lost in the second round. However, they don't only focus on their success as football players. What's important for this club is the participation of supporters and their connection to the fanbase. There are about 40 people working on this voluntarily, on a daily basis. As Sánchez puts it: "We should not look at the business elite football. If we let our members decide, we can continue to grow." But is there a limit for these clubs? Can a popular club that has climbed from the lowest categories reach the highest competitive level? It doesn't seem easy. In countries like Spain, when a club reaches a professional level, it changes its structure and becomes a Sociedad Anónima Deportive [NB. public limited sports company]. These regulations don't exist in Poland, for example, where the for-profit model dominates - with all it's perks and pitfalls. "In Poland, the ownership model is dominant. The owner is usually a businessman, with little to no knowledge of football. That's why we wanted to step away from this style and take a bottom-up approach. We wanted to create a club that would be completely in the hands of its fans," explains Karolina. Clearly, this approach has its downsides. AKS Zły is financed by the members of the association and by ad-hoc fundraising actions, from crowdfunding to a dedicated line of craft beer. Despite relative popularity, sponsors are still hard to come by, and funding remains one of the main preoccupations of club members. In England, the problem isn't the structure, it's the money. Year by year, clubs in the first division are making more and more money with TV rights. The Premier League team that received the least amount of money in the 2016-2017 season was Sunderland (£ 99.9 million). With growing discrepancy, it is becoming increasingly difficult for a smaller club to climb up from the lowest divisions. For some clubs, reaching the highest level is hardly a priority. "They would rather stay away from professional football than make a pact with the devil," explains Gago. Others, thinking more realistically, don't even see a problem in the foreseeable future. "We do not see it as something real in the short term, but when this time comes we will ask the supporters," Sánchez adds. The next challenge for the Unionistas is to try and look for a promotion to Second Divison B. If they succeed, they will have reached the same category as Union Deportiva Salamanca did just before they disappeared.